“I have some ‘deleted scenes’,” says creator. 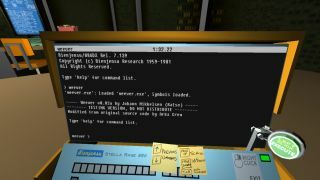 Puzzle-meets-heists-meets hacking game Quadrilateral Cowboy released last week and Tom seemed to enjoy his time with it. Creator Blendo Games’ “signature sense of style” won him over, however he did feel slightly let down by the fact the studio’s latest venture failed to reach its full potential. Could more missions free-of-charge help this matter? In any event, Blendo's head honcho Brendon Chung has revealed more are en route in the coming weeks.